Ethical Treatment of Animals (PETA), the largest animal rights organisation in the world, has proudly accepted KEVIN.MURPHY as one of their recommended ‘Cruelty Free’ companies. 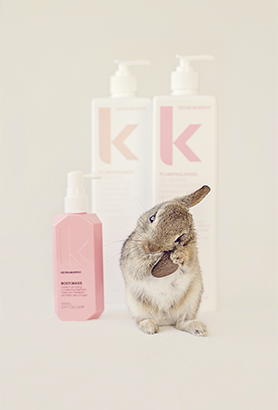 KEVIN.MURPHY will not harm nor test on animals. We avoid the use of any ingredient that will damage or harm animals and the environment in any way at all.